The Weather and Big Data Equals Big Business. The Weather Channel (TWC) is an American basic channel and satellite television company, owned by a consortium made up of Blackstone Group, Bain Capital, and NBCUniversal located in Atlanta, Georgia. The channel has broadcast weather forecasts and weather-related news and analysis, along with documentaries and entertainment programming related to weather since 1982. TWC provides numerous customized forecasts for online users through its website, weather.com, including home and garden, and event planning forecasts. Third-party web analytics providers Alexa and SimilarWeb rated the site as the 146th and 244th most visited website in the world respectively, as of July 2015. SimilarWeb rated the site as the most visited weather website globally, attracting more than 126 million visitors per month. That massive web traffic is exactly how The Weather Channel has turned ‘Big Data’ into a completely new business. TWC is before all a technology platform operator, which developed an extremely high-volume data platform, collecting and analyzing data from 3 billion weather forecast reference points, more than 40 million smartphones and 50,000 airplane flights per days, and serves 65 billion unique access to weather data each day. TWC collects terabytes of data everyday and uses it not only to predict the weather in millions of locations, but also to predict what consumers in those locations will buy. In a very savvy move TWC married more than 75 years’ worth of weather data with aggregated consumer purchasing data. For example, air-conditioners sales increases during hot weather, but folks in Atlanta suffer three days longer than people in Chicago before running out to buy one. Such analysis has created a whole new business for TWC – ‘Selling ads based on big data analytics’. For example, P&G Pantene and Puffs brands buy ads based on TWC’s weather and consumption analytics. A women checking The Weather Channel app in a humid locale receives an ad for Pantene Pro-V Smooth, a product formulated to tame frizzy hair. Currently, TWC is generating half of the company’s ad revenue to the business using web analytics. Big data and web analytics helped TWC maintain an extensive online presence at weather.com and through a set of mobile applications for smartphones and tablet computers. These services are now administered by The Weather Channel’s former parent company, The Weather Company, which was sold to IBM in 2016. The Weather Channel continues to license its brand assets and weather data from IBM. TWC’s case is the epitome of how effective use of big data and web analytics can lead to marketing opportunities. It also demonstrates how today’s big companies can advance through ‘Digital Marketing’ which can also help them to diversify and strengthening their business portfolios. 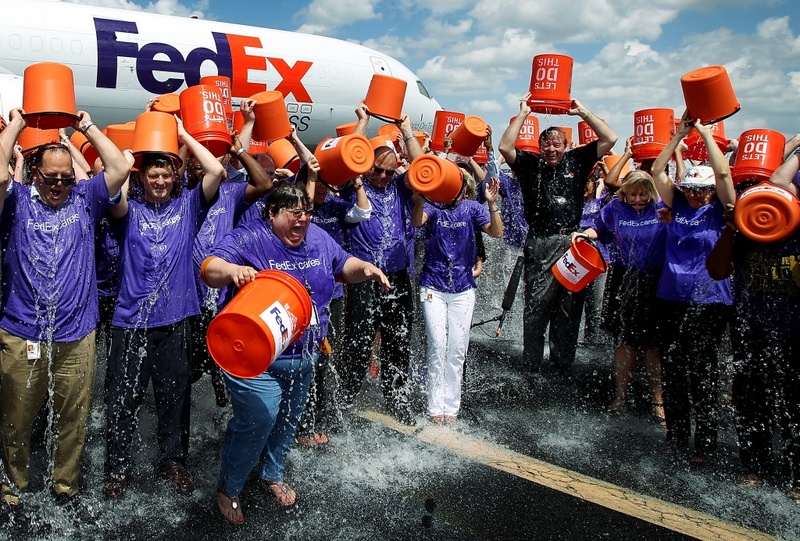 The Ice Bucket Challenge and the power of social media. Many of my friends called on me to take the Ice Bucket Challenge. I have yet to take them up on it and decided to give a donation and forgo the ice cold shower at least for the moment. It’s hard to find many who are not aware of the Ice Bucket Challenge…the charitable cause that has people all over the United States, and now even abroad, dumping buckets of cold ice and water on their heads to raise awareness and funds for the ALS Association. Everywhere in the press and all over social media the ALS challenge has captured the attention of millions of people. This is one of the most powerful examples yet of an idea that has exploded on social media and gone viral. I think however what hasn’t gone viral enough is the reason for braving the cold. And that is the disease. Amyotrophic Lateral Sclerosis is a progressive neurodegenerative disease that affects nerve cells in the brains and spinal cord. The brain loses its ability to control muscles and it is progressive and ultimately fatal. In the US, ALS is well known as Lou Gehrig’s disease after the great New York Yankees baseball player, who died in 1941 at the age of 36 after being struck by the disease two years earlier. What is amazing is the number of people who have seen the ravages of this disease first-hand, who have spoken up defending and endorsing the challenge against some pundits and critics and others who think it’s frivolous. The bottom line, a lot of good has come from this viral phenomenon. The New York Times reported that the ALS Association has received $41.8 million in donations in just one month. That’s more than double what was raised in the full year of 2013. The average donation has been $46.25 and the single largest donation was $100,000. This is exactly why using social media to raise awareness and then making sure that the social “buzz” is tied to real action. The action needed isn’t always clear on these videos. Facebook has tallied more than 2.4 million unique videos of Ice Bucket Challenges have been uploaded. A whopping 28 million people have posted, commented or liked these videos. I’m sure that many people have also given money but imagine if all of the 28 million people had just contributed one dollar. There’s 28 million dollars right there. More than half what’s been raised. I believe that some people, so swept up by the fun of it, have forgotten to even mention where donations should be made, or even that they should be made. The entertainment value of this campaign is proof that a good idea, and a great story, engages people. That’s marketing 101. But at the end of the day, there is no substitute for the pure emotion that helps to motivate behavior. The real push is for dollars that can be used to cure this incredibly insidious disease. So take the challenge, post them, like or share the videos. Get involved. Get wet but make sure that after you click, you take action by making a donation. Ordinary people and small businesses using Facebook are going to have to come to grips with two new terms after the big announcements Mark Zuckerberg made yesterday, the Facebook Developer conference. The first is “self-expression,” which means your friends will know a lot more about what you read, what music you listen to, and even what you cook. The second is “serendipity,” which means if you see a friend of yours has watched a movie on Netflix, you can click on that app in your timeline and begin watching it immediately from within the app. This could lead to a great deal of inadvertent “over-sharing”, especially if you use Facebook for business, or if you are not a student of how it evolves. It is always evolving into a platform for sharing more of your life, never less. Facebook’s newest idea is to make its platform a 21st century form of scrap-booking, and to help you “scrapbook” your entire life “frictionlessly.” I must say it will be beautiful, compared to the old Facebook. It looks like a Tumblr blog. Here are some fast and easy tips on how to make the most of the new features and not fall into unexpected traps. As CTO Brett Taylor says, “when you change from the current profile view to the Timeline, you forget how much stuff is there.” That can work for or against you. We’re used to burying much of the past on Facebook and hoping it went away. Now it’s all going to be very retrievable, by anyone you friend. In the next few weeks, you are going to get an entire new interface that will convert your life into a timeline. That timeline will have photos, updates, and a new set of “OpenGraph” apps. While in the past, you could authorize apps and nothing might happen that you didn’t expect, that’s no longer going to be true. Much more “passive sharing” will now be possible. Be careful what apps you authorize, because by default, much of what you do on Facebook with apps, or even outside Facebook with Netflix and Spotify, and Facebook’s other integrated partners, will be shared auto-magically. Once you add an app to your timeline, you don’t have to give it permission to add stuff to your feed: “Adding an app to your timeline is like wiring a real-time connection between your app and Facebook…There is no step two,” says Taylor. Third, you will be encouraged by the new interface to make Facebook your permanent home on the internet, which means the “walled garden” is pulling more partners in, rather than helping you get out to the wider world. So if you are a business, and you have a Facebook presence, you are going to need a much broader Facebook marketing strategy in order to find your new customers solely within the Facebook platform. The good news is that 800,000,000 people from all over the world are now on Facebook. The bad news is that creates a lot of noise, and doesn’t necessarily help you reach the “right” people, especially since Facebook search is notoriously inferior. Facebook’s new design is based on better data visualization. 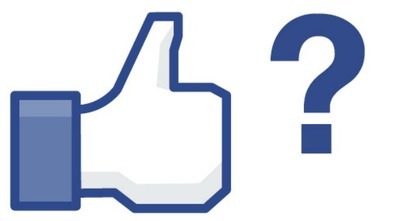 The bad news is that all that data is probably better for Facebook’s advertisers than for you. Remember that as long as you do not pay for Facebook, you are the product, not the customer. That’s why when you complain, Mark Zuckerberg often ignores you. The Beta test of Timeline starts today, and with it, the common news apps that you might want to see. You can sign up for it if you are an early adopter. Just click on the Timeline Facebook page. If you don’t want to be rushed into anything, stand back, but watch out–it’s all coming soon to a neighborhood near you in the next few weeks. Be careful who you friend. Carefully explore your privacy settings and make sure you understand them. Will Facebook Succeed in China? 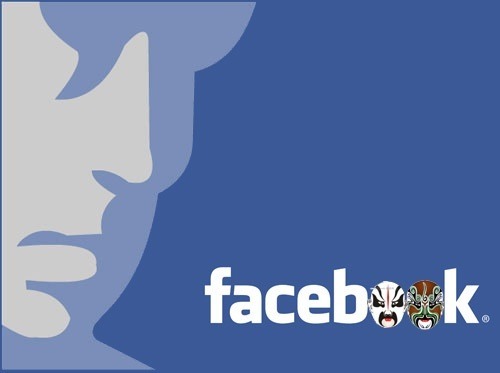 If the rumors are true, Facebook is planning to enter China’s social-media market through a partnership with the local search giant Baidu. Facebook will face strong local competition and the same regulatory and political pressures that defeated other Western internet giants like Google, Yahoo, eBay, Amazon and Twitter, according to industry experts. China’s appeal is understandable. The country is home to the world’s largest internet market and it has a vibrant social-media scene, with successful social-media sites such as RenRen, Kaixin001, Qzone and 51.com, Tencent’s QQ instant-messenger platform and Sina’s red-hot microblogging service Weibo. 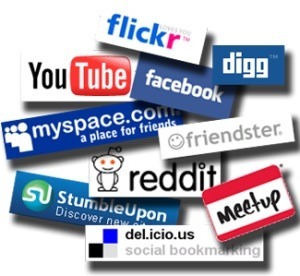 “There is a natural relationship between search and social,” said T.R. Harrington, founder and CEO of Shanghai-based Darwin Marketing and a search-marketing specialist. But Baidu is not necessarily the best choice for Facebook to enter the Chinese market. “It would make a lot more sense to work with someone like Sina’s Weibo [or] Tencent,” established companies that understand China’s social-media market. All of us on Xanga are part of the Social media network now. If you are using Social Media to promote yourself or a brand here are five tips to maximize your social media presence. Xanga may not be the best way to implement these tips but have a look they may be useful down the road. All too often, sites are “static” or stuck in the doldrums. When sites are not regularly updated and/or are merely used as a storefront, the information therein can easily become stale and outdated. In order to perform well in Social Media, sites must make themselves “linkable” by adding fresh content visitors are likely to share. Blogs, white papers, and industry news feeds are all a great way to accomplish this. Xanga used to be linkable and now it is very difficult to share your posts. The easier it is for your visitor to tag and/or bookmark your content, the more likely they are to do so. Conversely, if you don’t include any simple tagging or bookmarking options with your content, your visitors are likely to forget or simply not make the effort. Include Digg and del.icio.us buttons where appropriate, and be sure to use them internally as well. There’s nothing like the thrill of (legitimate) inbound links and these little blue-underlined jewels are often a strong indication of a site’s overall success as well. The lift in rankings and search placement is also invaluable, so efforts should be made to encourage further inbound linking. Providing a simple method and clear rewards will certainly boost the desired behavior. You may want to use Permalinks as well as include a section for recently inbound-linking blogs. Often blog writers are looking for increased presence themselves, and visibility makes the situation win-win. In contrast to so much of SEO, social media optimization is not about making tweaks here-and-there to your site. If you have portable content such as multimedia files and PDFs, submit them off to relevant sites with links back to your site. This will increase visibility and help drive traffic back to your site, while gaining potential followers. Providing clear upfront guidelines about how others may (reasonably) use your content can foster relationships among networks. Aviary.com, a free online photo editor, takes this method to heart. By allowing users to build upon the works of others, a piece may begin to grow far beyond its initial base. Providing a widget to copy and paste excerpts, setting up an RSS feed, and other “get involved” type functionality can help drive further traffic back to the original content as well as solidify the platform for future mash-ups. Generally, all of these tips can be summarized in one word: involvement. The more invested you can make your users in your content, the longer they will stick around and the more attention you will attract. Social-media tools are fostering customer service. More Twitter uses are outlined here as well but I am still wondering how the investors are ever going to get back their money though. There seems to be no business model for this great service. For direct sales Dell says it has sold more than $2 million worth of PCs through its @DellOutlet account (over 710,000 followers) on Twitter since 2007. 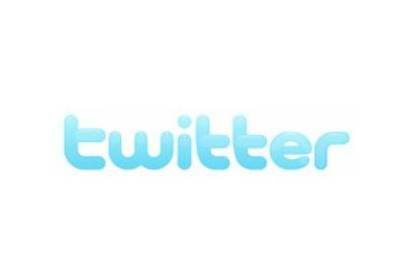 For up-to-the-minute service details Twitter can function like a real-time search for airlines and others. For example, JetBlue (@jetBlue; over 730,000 followers) assiduously answers traveler queries about flight times, delays and weather updates. “It’s like an early-warning system,” says spokesman Morgan Johnston. Twitter can deliver customer feedback that leads to enhanced services. 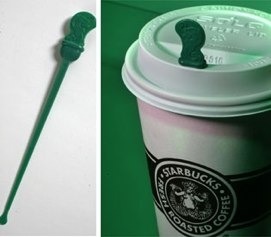 Starbucks is using a blend of social media via Twitter (@Starbucks; over 230,000 followers), Facebook (3.2 million fans) and its own social-networking site (MyStarbucksIdea.com) for product ideas and feedback. Splash sticks, the company’s new plastic plugs for sip holes, were created in part through feedback. Through social-media forums on Facebook and Yahoo, PepsiCo asked customers to visit its DEWmocracy website and vote on one of three choices for a new Mountain Dew flavor. More than 350,000 voted last year. 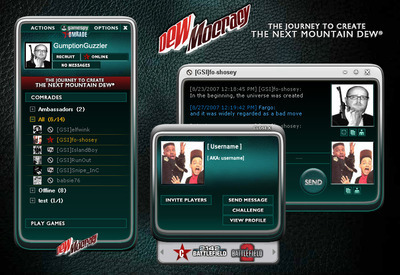 Online communities to exchange comments. Facebook and MySpace, through their respective services, offer massive bulletin boards for consumers to weigh in on major brands. Dunkin’ Donuts actively manages a fan page on Facebook with more than 825,000 fans. It used the page extensively to complement advertising and e-mail to inform customers on a new line of healthy foods and an iced coffee day event in April. Harley-Davidson’s corporate profiles on MySpace (36,000 friends) and Facebook (175,000 fans) let it solicit comments from fiercely loyal customers. Harley also uses Twitter (@harleydavidson; 4,000 followers) and produces videos of its motorcycles on YouTube. When a Stanley Cup broadcast suddenly went black in late April, many Comcast subscribers simply scooted to Twitter to find out why. It was there, not on a phone system with multiple options, they discovered that a lightning storm in Atlanta had caused a power outage during the Philadelphia Flyers-Pittsburgh Penguins hockey playoff game, and that the transmission would be restored soon. Comcast’s deft use of Twitter underscores what is becoming a staple in modern-day customer service. Increasingly, corporate giants such as Comcast, PepsiCo, JetBlue Airways, Whole Foods Market and others are beefing up direct communications with customers through social-media tools such as Twitter, Facebook and YouTube. The popular communications technology has helped companies quickly and inexpensively respond to customer complaints, answer questions and tailor products and services. It has supplemented current customer services, easing the load on call centers and expensive mailers that most consumers abhor. Twitter, Facebook, YouTube and online software services such as LiveOps, Salesforce.com and RightNow Technologies are all are being used to improve customer service, retain users and gain a competitive advantage.